EXCELL has introduced an upgraded IP68 weighing indicator product line to improve user experience. The newest models, GWS and QWS, offer more than 10 functionality improvements for easier-to-use. This includes new function classification, new design of button for operational consistency and increased product accessibility. "EXCELL strives to create people-friendly products by pursuing functionality, operability and convenience from the customer's perspective in actual usage situations," said C.C. Lo, President and CEO at EXCELL. "Our experience and feedback, via customers from over 100 countries, has enable us to find new ways to improvecustomer satisfaction and loyalty. To that emd, we have adopted a universal design approach through which we endeavor to create products from a customer perspective from the design stage onward, facilitating use by all customers," said Jeff Chien, Vice President of Sales & Marketing at EXCELL. 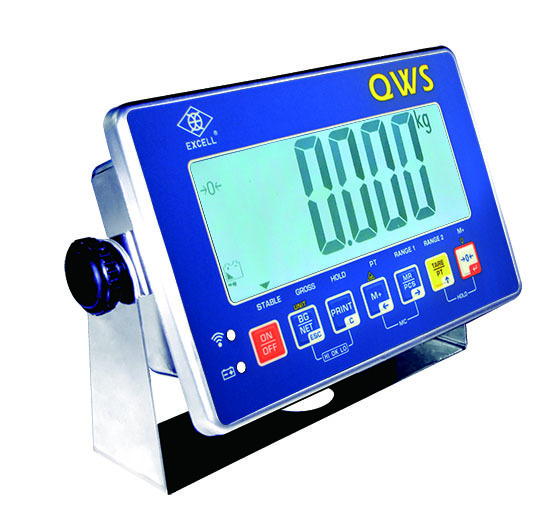 The GWS and QWS are highly versatile digital check weighing indicators. They have numerous applications, from check weighing nuts and bolts to assisting in automatic filling, including liquid filling. The Hi/Lo alarm with visual traffic light indicates when a target has been reached, meaning no waste. The built-in RS-232 connection allows weight and count data to be transferred directly from the scale to a computer. An optional printer is also available for printing weight or count data on sticky labels. Other key features include Counting, Tare, Pre-set Tare, second scale input, long battery life and optional remote display.